Your favorite talking babies are back and weirder than ever. Nickelodeon is relaunching the ’90s cartoon Rugrats with a new animated series and a live-action film (produced alongside Paramount Pictures) that will feature CGI versions of the worm-eating, anxiety-prone infant friend group. How exciting! Tommy’s enormous head and Chuckie’s vacant stare were creepy enough as is and will take on a whole new hellish life rendered in CGI. The identical twins with rhyming names? Angelica, looming above us all? This movie sounds like it’s going to give us a mix of that animatronic baby from Twilight and the original uncanny valley superstar, the kid from Polar Express. But I’ll admit, the particular charm of Rugrats was always in how weird it was. Tommy’s talking clown doll, Angelica’s dream about a giant baby that eats her alive, Chuckie’s many many hallucinatory episodes. The meme of Stu losing it over chocolate pudding is pretty tame in comparison. Even the aesthetic style made the show feel like a half-remembered fever dream. 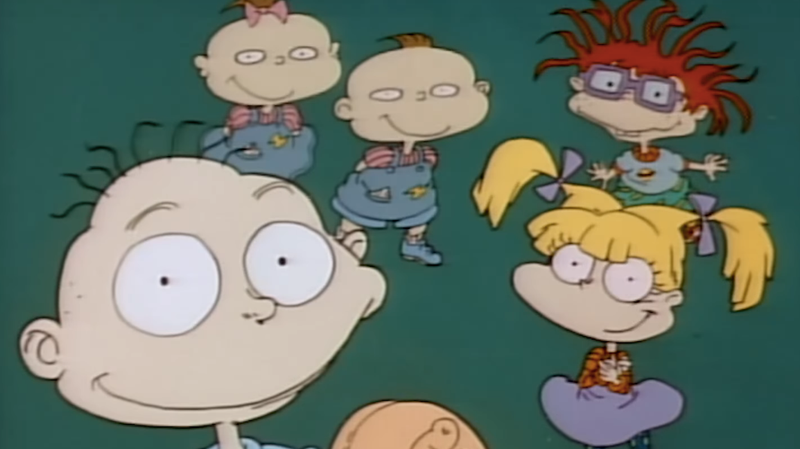 So maybe uncanny valley CGI babies are exactly what you would need to recapture the weirdness of the original Rugrats. Now a whole new generation will be able to look back and think, what the hell was going on with that show? This relaunch is part of Nickelodeon’s larger move to revive some of its biggest ’90s shows. The animated Hey Arnold! movie released last year got good reviews, maybe just because it mercifully stuck to a 2D style. Can you imagine that football head in CGI?